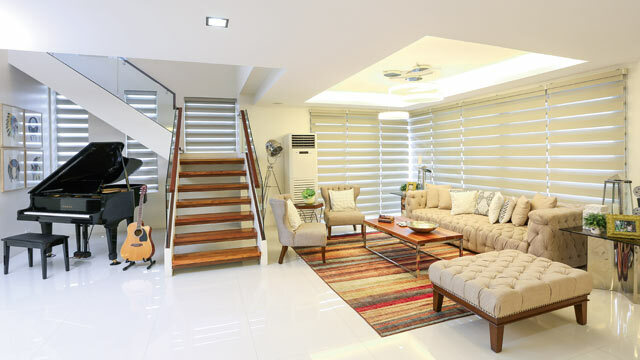 It's safe to say that this property is a blessing for Jennylyn Mercado. It came at a time when she was looking for a new house and hoping to start anew. 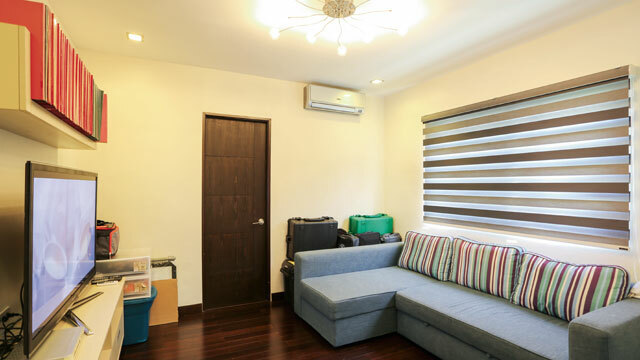 Located in a subdivision in Quezon City, the house is spacious, airy, and perfect for Jennylyn and her family. After purchasing the home, she worked with contractors and an interior designer to transform it into a modern haven filled with well-thought-out pieces, must-haves that speak of comfort and elegance, and her favorite things, too. From the inviting dining area to Jen's bedroom reminiscent of a New York City apartment—the once ordinary structure has become a special retreat and a welcome respite for the actress who has quite a busy schedule. The foyer instantly establishes the warmth that guests can expect inside the home. A pair of high-back upholstered chairs and a console table complete a chic vignette. A stylish chandelier from Illuminati also adds elegance to the nook, and when paired with the cove lighting, it keeps the foyer bright and inviting. Meanwhile, the dining set from Restoration can seat 10 people comfortably. It features upholstered chairs and a long wooden table spruced up with a rustic table runner. When Jennylyn joined the reality competition Starstruck, her musical talent was also developed. On the left side of the staircase is a baby grand piano and an acoustic guitar. A few steps away from the stairs is the cozy living area. To achieve a relaxing vibe, the living area is furnished with a beige tufted couch, accent chairs, and an ottoman that can also function as an extra seating piece. The striped area rug adds a pop of color to the otherwise neutral color scheme. Find quality area rugs at Deco Living Manila. For similar seating pieces, check out Dhalton Home. The door near the baby grand piano leads to a compact powder room that's often used by guests. Mosaic tiles make it extra interesting while a reed diffuser keeps it smelling clean all day. A stash of clean towels can be found under the sink. Fully equipped with top-of-the-line appliances, the spacious kitchen also has storage options that help avoid clutter. Within the kitchen is another dining set (not seen in photo) with cantilevered chairs. 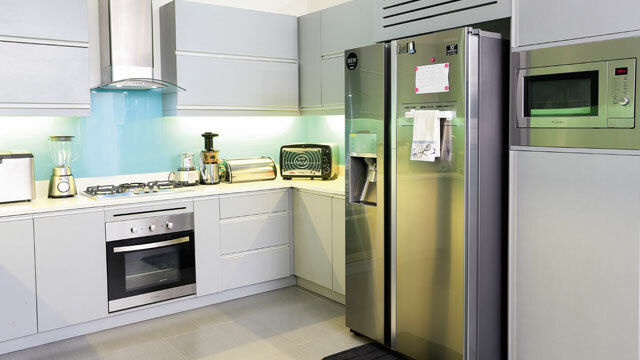 We love the refrigerator, the oven, and the small appliances that make food preparation easier. The extra room on the first floor also functions as a viewing room where Jen and her guests can watch TV. It is furnished with a sectional sofa and a slim console that holds the TV. Guess what—the room also has its own bathroom! 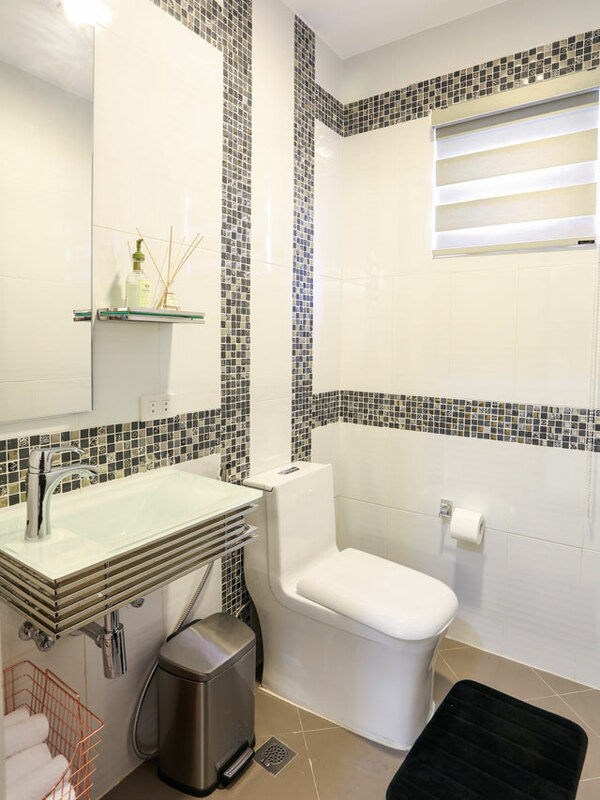 To ensure the comfort of guests, it has a spacious countertop, wall-mounted shelves that keep toiletries organized, and a glass shower enclosure. Who wouldn't enjoy watching movies in the den? Complete with a three-piece recliner that would remind you of your favorite cinema, this is where Jen bonds with her family. Look closely and see the gallery wall by the stair landing. It has photos of Jen with her son and Mama Lydia, as well as snapshots from some of her travels, races, and trainings. 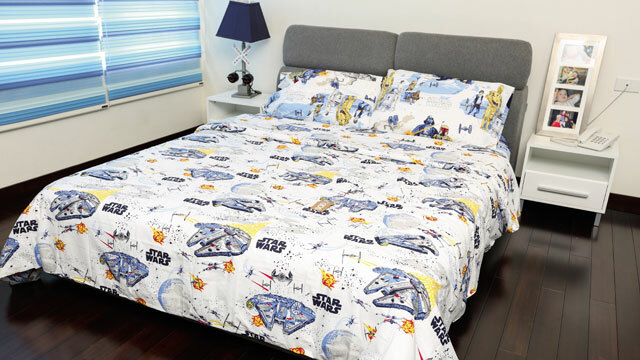 Alex Jazz's blue-themed bedroom highlights a bed with an upholstered headboard and Star Wars-themed furnishings that add character to the space. For a similar bed, visit Home Matters. What's a kid's room without his favorite companions? A couple of shelves and a cabinet with mirrors occupy the space beside the bed. 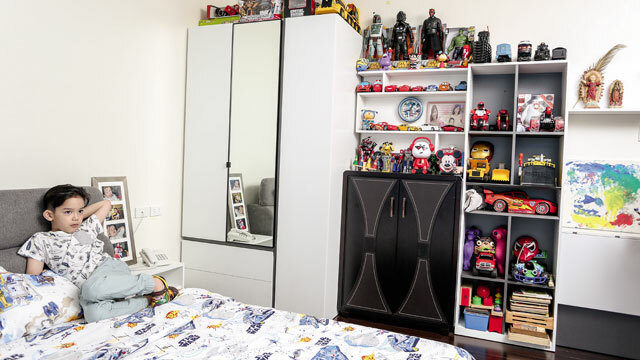 Different toys take up precious shelf space—keeping the room neat and orderly. 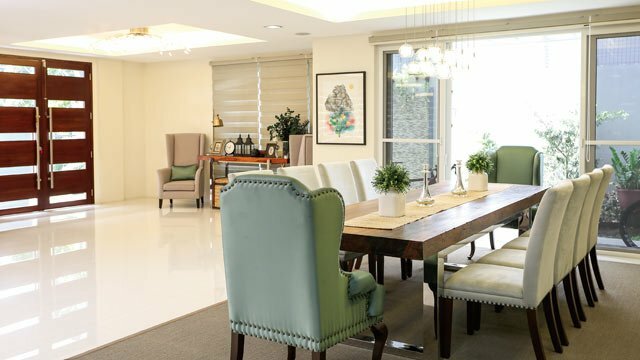 Jennylyn's private space measures 60sqm and features an overall appeal that's different from what we've seen in the living and dining areas. 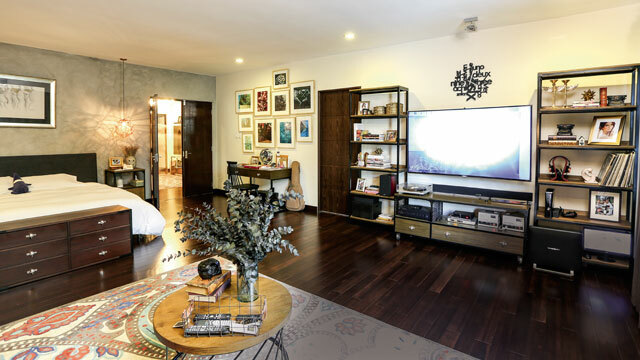 Designed by interior designer Rossy Yabut-Rojales of Heim Interiors, the sleek bedroom with urban, masculine touches takes inspiration from New York and London apartments. 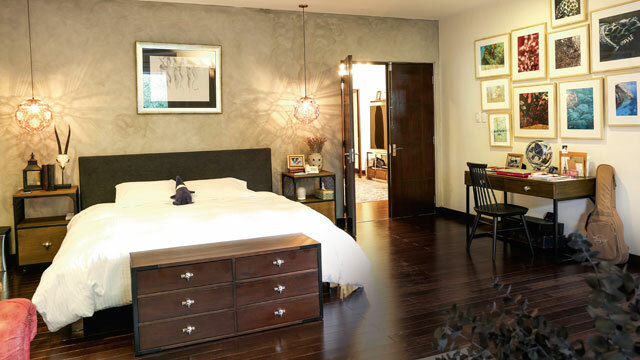 Some of the pieces that make the room extra special include the captivating lighting pieces that cast a warm glow, a painting by National Artist for Visual Arts Benedicto "BenCab" Cabrera above the bed, and the Tempur bed from a previous home. Except for the bed, all of the furniture pieces in the bedroom were custom-made. It's safe to say that Jen's bedroom is complete and perfect for weekends. It has a study table for working and a TV console meant for entertainment. The actress also has a gaming console, a collection of vinyl records, and a turntable. Meanwhile, the framed photographs above the study table showcase Jennylyn's talent and love for underwater photography. All photos were taken by the actress during different dives. 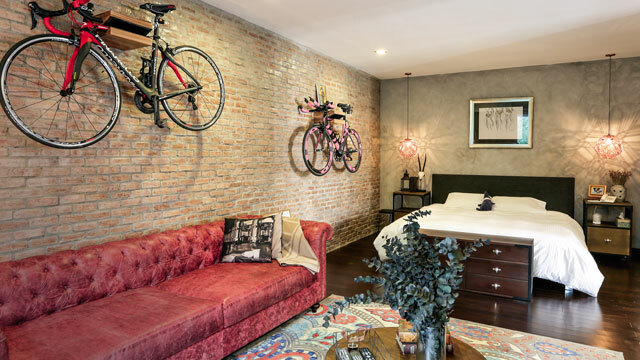 Sprucing up the brick wall on the other side of the room are bikes that Jennylyn has used in different races. If you've been following the actress on Instagram, you'll know that she has been training for triathlons by doing a lot of running and biking. 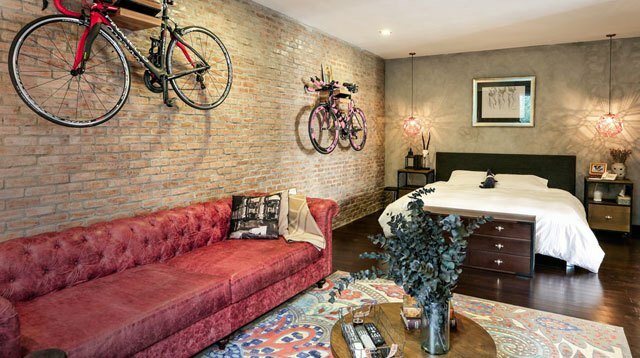 One bike on the wall was made-in-Italy and used during a memorable race in Bataan. While the room is dominated by masculine touches, the tufted leather Chesterfield couch from My Apartment (a showroom also owned by Heima) balances out the look. Originally black, it was tweaked to achieve a vintage look. The couch was dyed pink and treated accordingly to fulfill the owner's wishes. 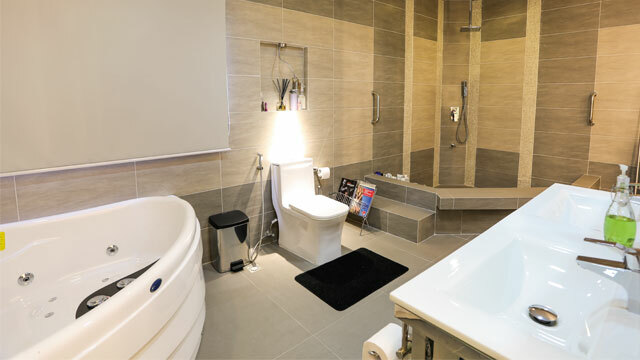 The en-suite toilet and bath is spacious and reminds you of a spa. Rossy and the Heim Interiors team helped style the space. 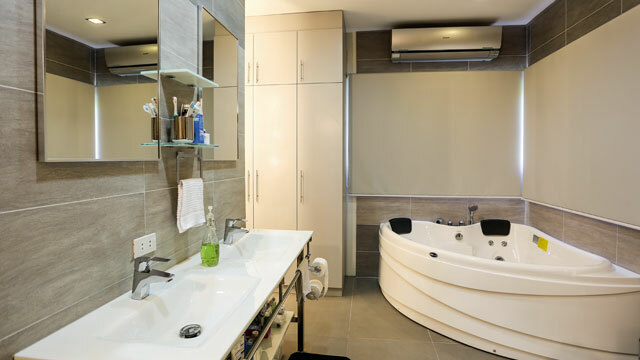 It features a corner tub, a double sink, and an open shower area. The tiles chosen for the bathroom add a tropical vibe. Opting not to have dividers or enclosures further opened up the bathroom and helped keep it airy, too. 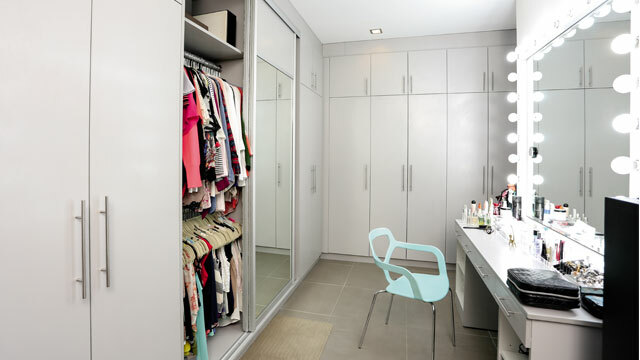 Directly connected to the bathroom, the walk-in closet has multiple cabinets filled with clothes, shoes, and other essentials. 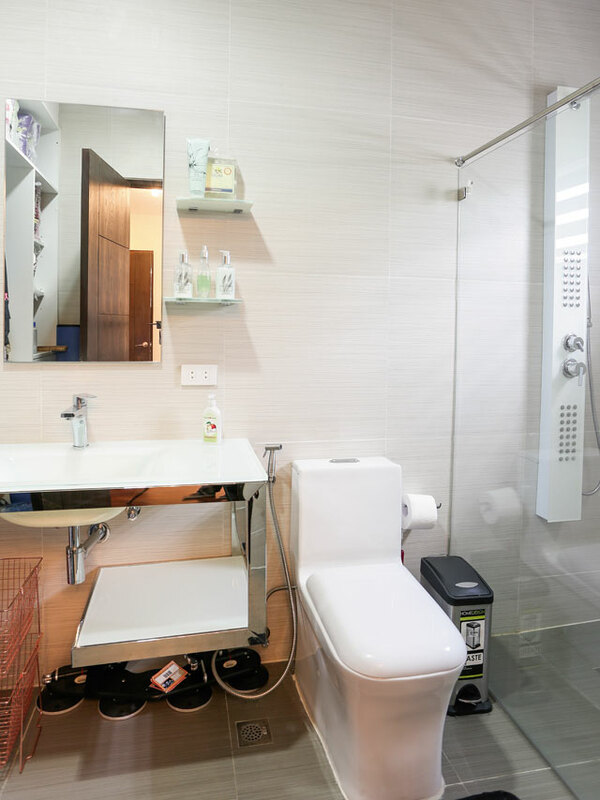 Since there are no partitions separating the vanity area from the shower, Jen can easily go from one area to another when getting ready for the day. The space also has a vanity nook complete with a mirror, lights, and a high chair. To maintain a neat look, Jen's shoes and other belongings are properly grouped and placed on shelves. Aside from designer pieces and daily must-haves, she also has shelves meant for caps, running shoes, and activewear.